Desiccated coconut comes from the tall, lean exotic coconut trees native to South Asia and Southeast Asia. It is a product that is prepared and preserved by removing the natural moisture in the coconut fruit. Ceylon Desiccated Coconut is known for its rich taste. Our Desiccated coconut contains no artificial preservatives or coloring, 100% SO2 free with containing no more than 3% of moisture. Our Desiccated Coconut department is dedicated to providing you the best of Ceylon Desiccated Coconut with the highest quality standards. Approximately one thousand coconuts are expected to yield only about 100 kg of Desiccated Coconut. 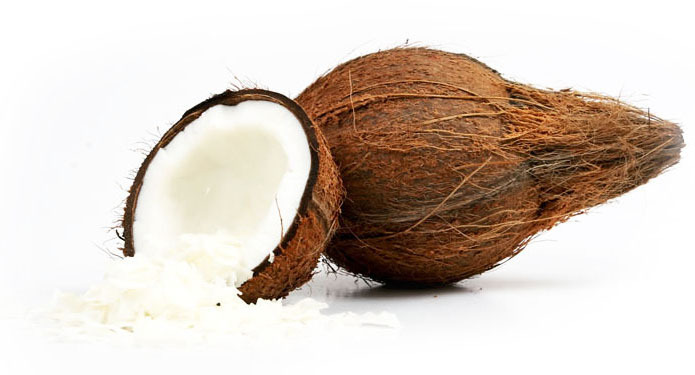 Production of Desiccated Coconut is a real hard work as the removal of coconut husk, shell and skin are done manually or given the best of current technology are done semi-automatically.